CAT ON CAMERA: The Pallas Cat caught on camera in Manang last year. Conservationist Tashi R Ghale was in Manang last year installing camera traps at 4,200m near Tilicho Lake to monitor snow leopards. Looking at the images captured by the camera one day, he found not a leopard but a small wild cat. On further investigation, it turned out to be a Pallas Cat, named after the German naturalist Peter Simon Pallas who first wrote about the wild cat found in the mountains and grasslands of Central Asia back in 1776. Since then, the cat has become nearly extinct because of hunting and habitat destruction, but it had never been seen in Nepal. 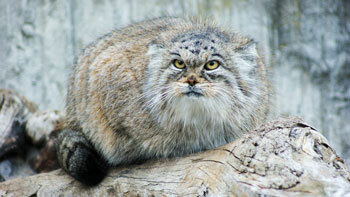 Because it didn’t have a Nepali name, researchers called Pallas Cat ‘Tashi Biralo’ in honour of Tashi Ghale. Since ‘Tashi’ means ‘good luck’ in Tibetan, Pallas Cat is now also known as the ‘Good Luck Cat’. Field Biologist Tashi Ghale installs a remote camera at 4,200m near Tilicho Lake. The cat is in the International Union for Conservation of Nature (IUCN) endangered list, and it is an indication of just how elusive the animal is that every camera sighting is greeted with great excitement in the conservation community. Until recently there had been only two sightings of the Pallas Cats in Central Asia. The furry animal was thought to be extinct in the Himalaya until it was caught on camera in Pakistan and Bhutan in 2012. 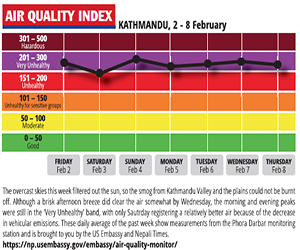 The sighting in Nepal is significant also because it is the highest-ever of the animal. 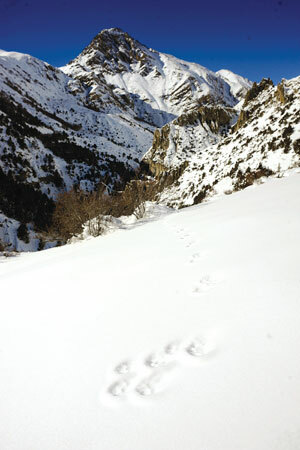 Research team of biologists in the Annapurna Conservation Area of Manang where they also use tracks in the snow to find out more about the cat’s habitat. In addition to camera tracking snow leopards, the team is now also trying to find out more about the habits and habitat of the cat in the Annapurna Conservation Area. The project is funded by Mohamed Bin Zayed Species Conservation Fund, The Rufford Foundation-UK and The Royal Zoological Society of Scotland, and implemented by Global Primate Network-Nepal and Nepal Trust for Nature Conservation-ACAP. Knowing more about the cat’s behaviour will help protect the species by finding out its relationship with the other carnivores in the area, and its main preys. 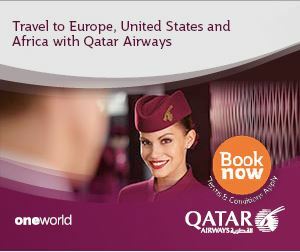 The cat shares its habitat with the snow leopard, weasels, and ghoral sheep among others. In future, researchers would also like to do a genetic study, and find out more about how climate change will affect it in future. A recently captured image of the Pallas Cat in Annapurna Conservation Area. 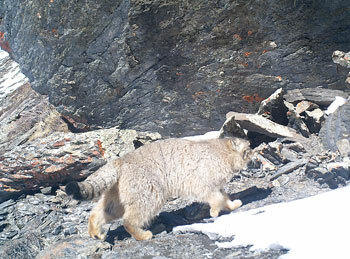 The team is planning to replicate the study in various other parts of the Himalaya to find out about the cat’s range. The team had published a similar study about the red panda habitat in the international peer-reviewed journal Biological Conservation. Sonam Tashi Lama is a Conservation Coordinator at the Red Panda Network. Mark your calendars for next week, it's time for some jazz!